5" Sq. x 1" Glass measures 1½"
Circles are never - ending, and so is Bisque Imports ' excitement for new mold shapes! Try these out! These cube trays are perfectly sized for creating glass knobs! Molds are designed specifically to work with Hang Your Glass knob hardware. Circle Cube Tray - 5" square x 1"
This product is manufactured by Slumpy' s.Bisque Imports proudly manufactures and distributes a variety of products.For the most up to date product information, vendor news, and best practices, click here. 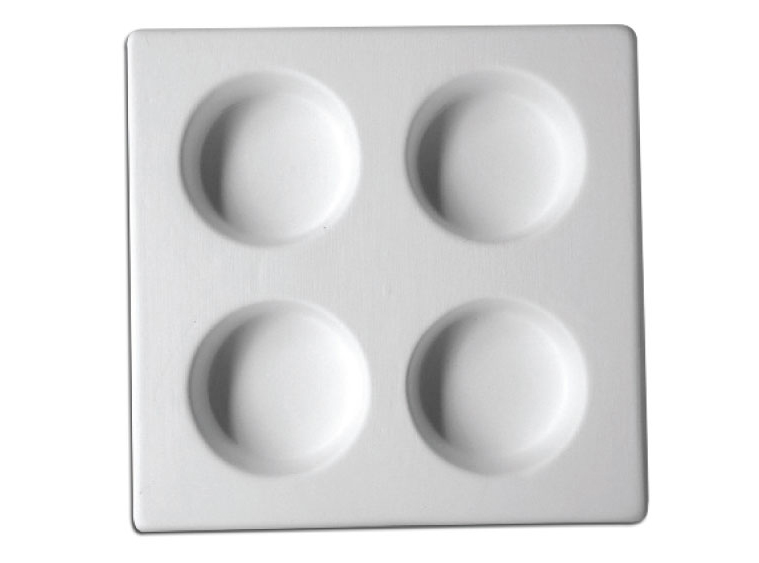 Circle Cube Tray - 5" sq." x 1" Glass measures 1.5" once fused in this mold.